June 25, 2014 - Georgetown, Massachusetts - UFP Technologies, Inc., a producer of innovative custom-engineered components, products, and specialty packaging, has expanded its manufacturing operations in Georgetown, Mass. 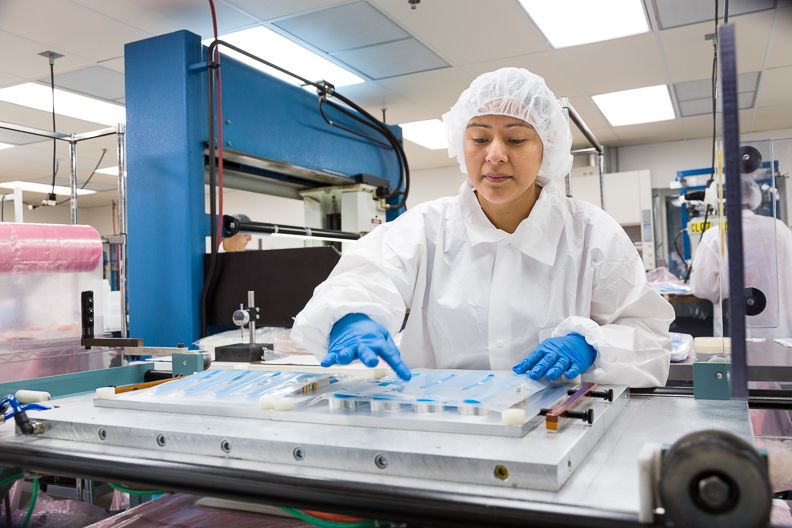 The addition of a new clean room and high volume production equipment broadens UFP Technologies’ substantial medical manufacturing capabilities. The new ISO Class 8 (100,000) certified clean room will house a custom built high volume line to support its growing line of components manufactured from medical-grade thermoplastic polyurethane (TPU). The TPU components offer a high degree of puncture resistance and flexibility to provide a robust sterile barrier protection. UFP Technologies now has a total five clean environments in Massachusetts. The recent additions to the Georgetown facility builds upon UFP Technologies’ strong presence as a valued manufacturing partner to medical device OEMs. UFP Technologies has seven manufacturing facilities throughout the country that are ISO 13485:2003 certified which house multiple ISO Class 8 (Class 100,000) and ISO Class 7 (Class 10,000) clean room facilities.